Posted on 29, December 2015 by EuropaWire PR Editors | This entry was posted in Automotive, Germany, Investment, Management and tagged approved investment program in 2016, Audi, growth strategy, Rupert Stadler. Bookmark the permalink. Ingolstadt, 29-12-2015 — /EuropaWire/ — Audi will lay the foundations for future growth in 2016. In the coming financial year, the company plans to continue with its high levels of investment. Along with further process and cost optimization, the planned capital expenditure is to amount to more than € 3 billion, and will support the Ingolstadt-based company along its successful path. Half of the planned investment will take place at the German sites in Ingolstadt and Neckarsulm. Furthermore, Audi will recruit additional experts in the field of future technologies once again in 2016. The company intends to push forward with its growth strategy with the approved investment program in 2016: “We are continuing with our high levels of investment in future technologies to enhance the strong position of our brand,” emphasized Audi CEO Rupert Stadler. The car producer also plans to enter a new market segment with the Audi Q2 model next year. In addition, Audi will present the successor of the Audi Q5 next year, thus continuing with the next chapter of its SUV success story. “A significant proportion of our investment is naturally in the field of alternative drive systems,” stated Stadler. In 2018, the first large‑series battery‑electric vehicle of the brand with the Four Rings will be launched, based on the Audi e-tron Quattro concept. By 2020, Audi will expand its model range to include 60 different automobiles. Audi continues to accelerate in the area of digitalization. In early December, the company acquired a one‑third interest in HERE, thus safeguarding the cooperation with a leading provider of digital maps and location-based services. Audi’s share of the purchase price amounts to € 0.85 billion. 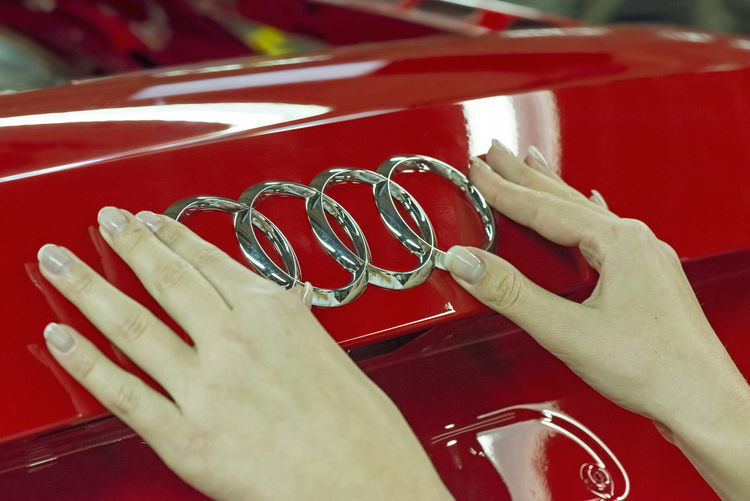 In order to maintain its “Vorsprung durch Technik” also in the future, the company will strengthen its workforce as it progresses along its growth path in 2016. Thomas Sigi, Board of Management Member for Human Resources at AUDI AG, stated: “We are looking for experts in areas important for the future.” Demand is particularly strong for specialists in alternative drive systems and lightweight construction, but also for IT specialists, who will further develop the fields of Audi connect, Audi mobility and smart factory in the context of digitalization.